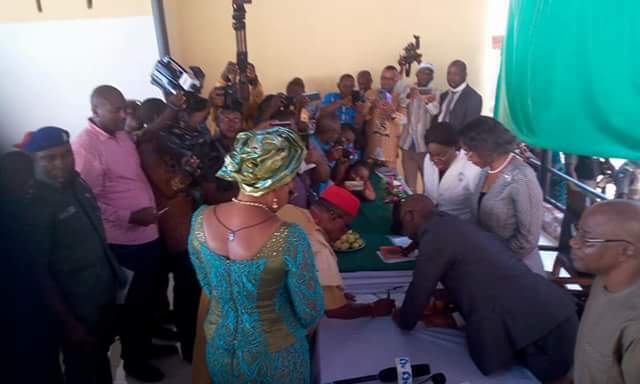 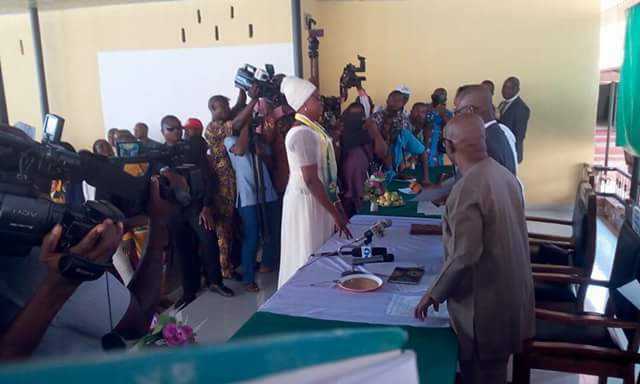 Anambra State Governor Willie Obiano has arrived the state headquarters of the Independent National Electoral Commission to receive his Certificate of Return. 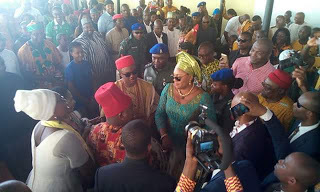 The governor was accompanied to the event by his wife, Chief Mrs Ebelechukwu Obiano, his Deputy, Dr Nkem Okeke, the National Chairman of APGA, Chief Victor Oye, the Chairman of his re-election campaign committee, Chief Victor Umeh, traditional rulers, key political leaders among numerous others. 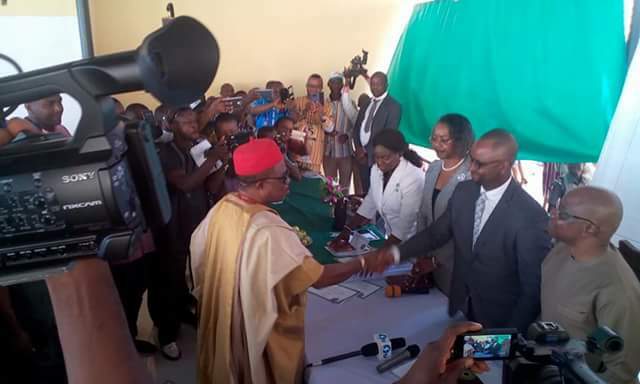 Governor Obiano emerged winner of the just concluded Governorship election in Anambra State, beating his closest opponents, Dr Tony Nwoye of the APC and Mr Oselloka Obaze.